The Australian Open Tournament had its share of amazing stories this year. It was Roger Federer’s 20th Slam, Wozniaki’s first slam…but do you know of the most incredible story behind this year’s Australian Open? 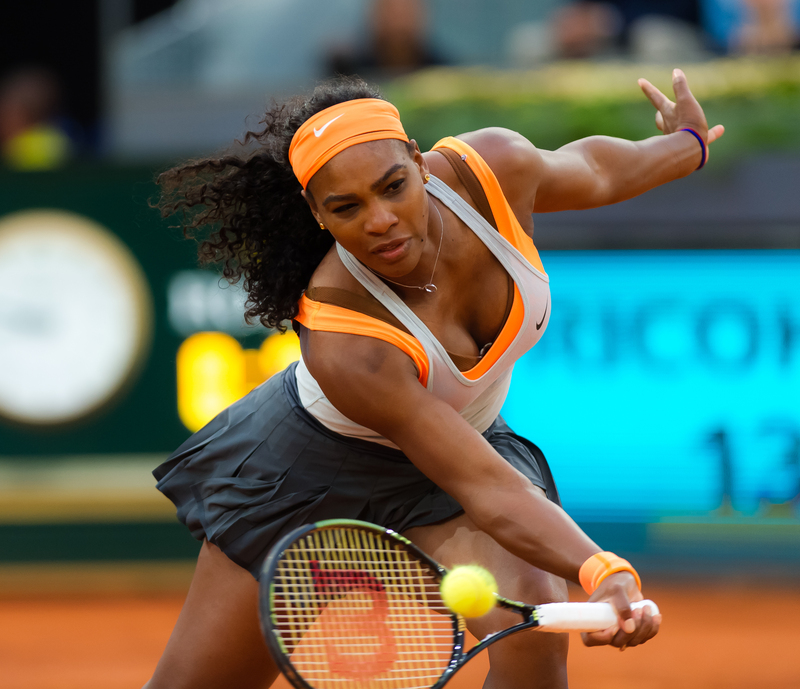 Whether you’re a tennis fan or not, chances are you’ve heard of Serena Williams. You’ve probably even heard of her pregnancy – during which she WON a Grand Slam. This is incredible enough, but what most people don’t know about Serena’s pregnancy is that she developed potentially life-threatening blood clots after giving birth. Blood clots in the deep veins (deep venous thrombosis, or DVTs) are common in pregnant women due to factors including hormonal changes in their bodies, the uterus pressing on veins in their legs, and also a more sedentary lifestyle in the later stages of pregnancy (when it’s harder to move around). It’s estimated that around 1 to 2 out of every 1,000 women will experience a blood clot during pregnancy. When blood clots travel from the legs up to the lungs, they are potentially deadly. In Serena’s case, giving birth almost ended her life… and interventional radiology saved it. Serena described her ordeal in a recent interview with VOGUE magazine. Here’s how things went down. When Serena started having trouble breathing after bringing her daughter into the world, medical staff performed a CT scan and found she had several blood clots in her lungs. They occur when clots in the deep veins (normally in the legs) break off and travel to the heart and lungs. When these clots travel to the lungs, they are called pulmonary embolisms, and they can cause collapse and even death. Now, blood-thinning medication is a common treatment for pulmonary embolisms. But there was a dangerous catch. Serena had given birth via emergency C-section, and the blood thinners were preventing her abdominal wound from clotting and closing. What’s even worse is that the intense coughing caused by Serena’s pulmonary embolisms actually caused her wound to re-open. Something had to be done – fast. 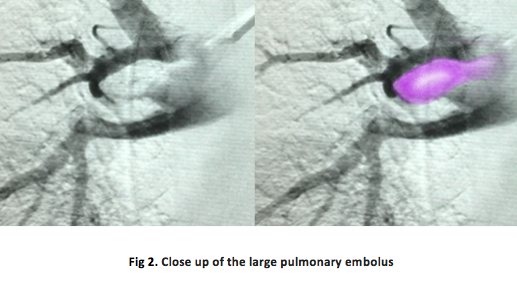 Enter stage left: interventional radiology. Serena underwent a procedure to insert a caval filter into a major vein to prevent further clots from reaching the heart and lungs. The procedure involves using small skin punctures to guide a catheter up a vein in the groin and deploy a small, umbrella-shaped device called a caval filter. 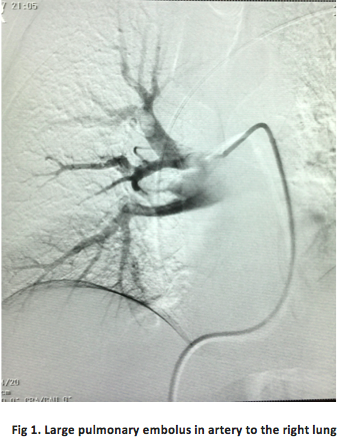 When placed in the vein, the caval filter expands and fixes itself to the vein wall. 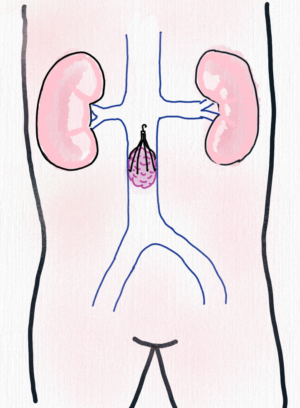 It remains there, intercepting any clots that break off, before they can travel to the lungs and heart. Just like Serena (who is now returning to health and enjoying time with her daughter, Alexis Olympia), patients undergoing a caval filter procedure can get back to their daily lives immediately and without the need for heavy pain medication. The most important part – patients can rest assured that their risk of pulmonary embolism is dissolved – just like their blood clots. It’s vital for pregnant women to monitor themselves for symptoms of blood clots, even up to 12 weeks after giving birth. Pain or swelling in the legs, shortness of breath, or chest pain could be a sign of pulmonary embolism, and should be evaluated immediately by a health professional. If you’re concerned about your likelihood of developing blood clots, or would like to find out more about caval filters, click here to book an appointment.